A good curry should be creamy and comforting with a little kick to it. Thankfully, you’ll find all of these things in our Vegetable Curry. 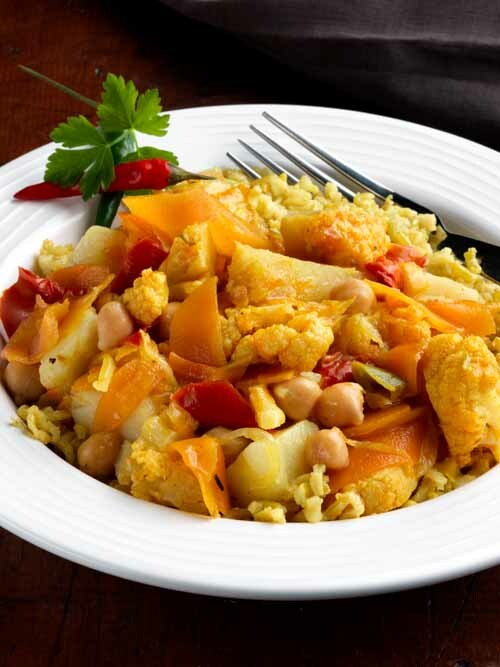 This dish is full of flavour, spices and textures from the different vegetables in this curry. In addition, it’s full of health benefits like anti-inflammatory properties from turmeric and healthy fats from the coconut cream. It’s so good, you’ll love it even if you’re not a vegetarian or vegan! 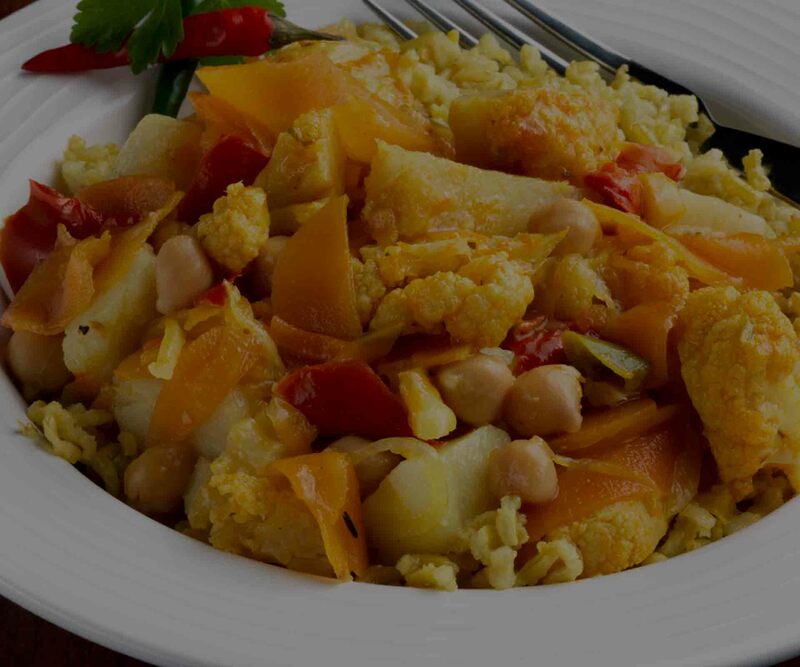 Potatoes 20%, tomatoes 16%, carrots 14%, peppers 12%, cauliflower 11%, chickpeas 9%, onions 9%, organic basmati rice, chillies, turmeric, garlic, cumin, coriander, paprika, organic lemon juice, coconut cream, sunflower oil, parsley, sea salt.